This topic contains 3 replies, has 2 voices, and was last updated by Carl 4 months ago. 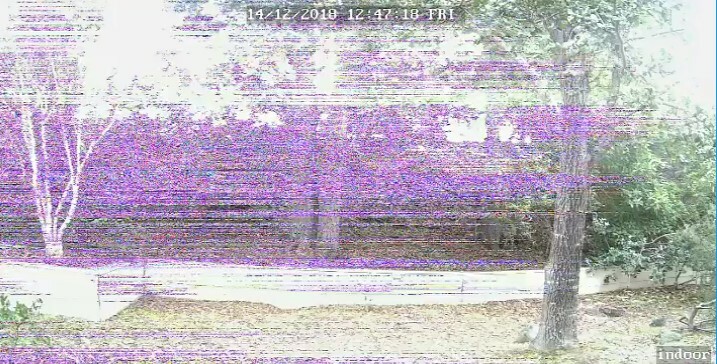 C1 (1080p resolution version) appears to be failing with snapshot of flickering image attached. Hard reset to no avail. Anyone have a resolution? Hi, if the issue also remains on the LAN accessing and the reset doesn’t work, please provide your order ID and the attachment to the support team for RMA. Camera is being RMA’d (unfortunately, no free return shipping for full warranty period) following confirmation of failure by support team. Caveat to those using support: the customer management system emails the UID and credentials even when only provided on the reolink website. Otherwise support is quick and complete. Thanks for the feedback! For the warranty, you may refer to /warranty-and-return/. Also, the Christmas sale is going on, you may refer to /christmas-sale-2018/! Have a nice day!